Motorpark would like to extend a warm welcome to Tony Barbour as he rejoins the Motorpark sales team after 10 years. Tony has more than 20 years experience in the motor trade in Galway, beginning his career with Higgins Motorpark in 1989 at the Headford Road premises selling Ford vehicles. Having worked at various dealerships throughout Galway City, he has vast experience and knowledge of the automotive industry with particular experience in the commercial vehicle market following his latest position of sales manager over Volvo and Mercedes commercials at another Galway dealership. 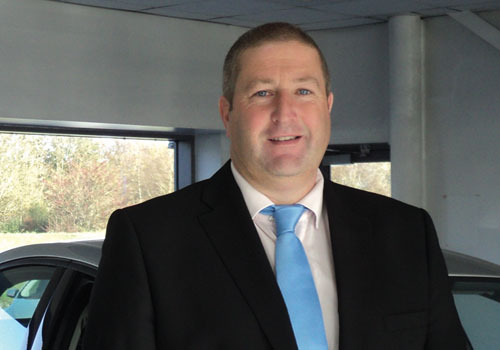 Tony is looking forward to welcoming his old client base to Motorpark and meeting new customers in his new position as Sales Executive at Motorpark offering the same attention to detail and personal service he has given to customers over the past 20 years. The Motorpark sales team are currently taking orders for 2012 vehicles, including the Ford Mondeo with 4 years warranty, roadside assistance and servicing and Ford Transit with four years warranty, roadside assistance and servicing plus 2 years free road tax, available on orders placed before October 31st 2011. Page generated in 0.0658 seconds.